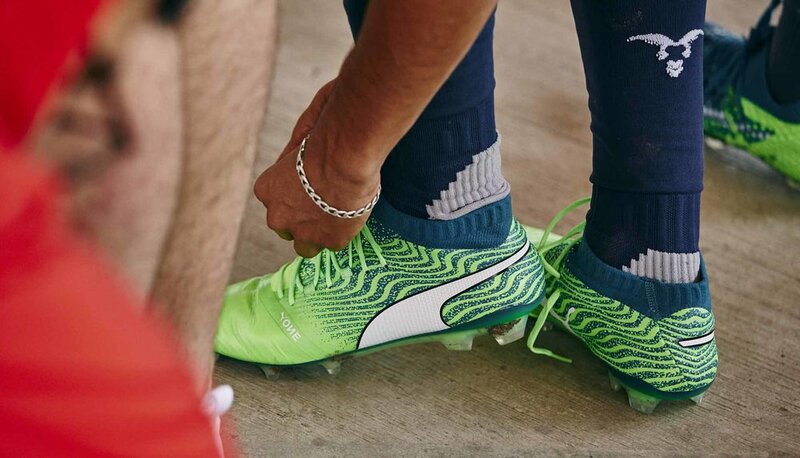 PUMA make one of their final moves of the current domestic season by rolling out a new collection of colourways for their players to wear throughout April. The "Frenzy Pack" arrives in energetic style. The ONE 18.1 and Future 18.1 models are wrapped in intensive combinations of "Green Gecko" and "Deep Lagoon" for a striking on-pitch presence to carry the brand right up to the pre-World Cup party this summer. Expect things to get that bit more frenzier come June. 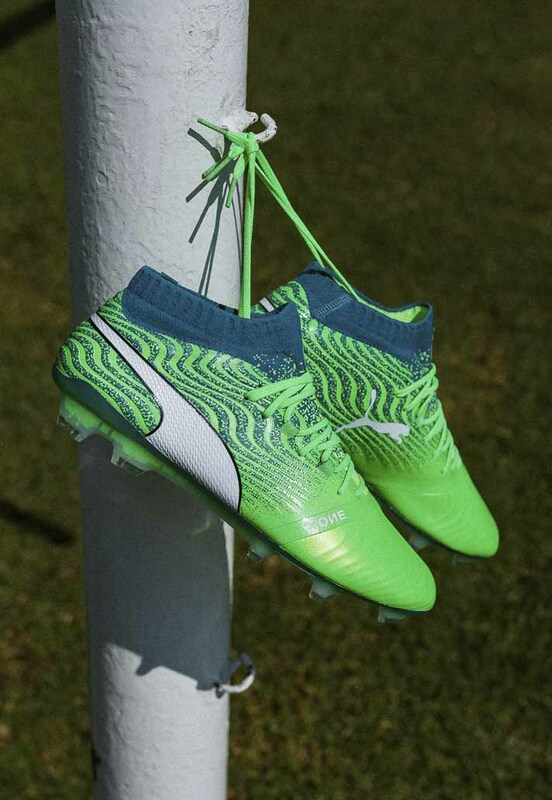 The ONE 18.1 once again combines three aspects to a top-level boot; Fit, feel, and fast all merge to create what PUMA label as the most complete, all-rounder boot with a k-leather upper and lightweight outsole. The "Frenzy Pack" colourway will be worn by all leading ONE 18.1 athletes including Sergio Agüero, Cesc Fàbregas, Héctor Béllerin, Olivier Giroud, Mario Ballotelli, Gianluigi Buffon, and Giorgio Chellini. Starting with the return of the Champions League this week.